A Muslim World Charitable body, World Congress of Muslim Philanthropists has decided to launch a coalition for girls’ education in Pakistan. The announcement came in the wake of World Innovation Summit for Education (WISE) held in Qatar on 29-31 October. The event held at Doha, capital of Qatar concluded after three-day marathon deliberations to explore cutting-edge practices in education sector. The summit under the theme ‘Reinventing Education for Life’ was participated by thought leaders, experts and policy makers from around the 100 countries of the world. The Pakistan Alliance for Girls Education (PAGE) aims to turn a new page for girls in Pakistan by creating an enabling environment to ensure equal opportunities for females in access to education and to help remove the bottlenecks that restrict female participation in education. The WISE Summit is the perfect platform to launch PAGE as the project aligns with the vision of Her Highness Sheikha Moza Bint Nasser, Chairperson of Qatar foundation for Education,” said the founding Chair of the World Congress of Muslim Philanthropists, Dr. Sheikha Aisha Bint Faleh Al Thani. World Innovation Summit for Education (WISE) was founded in 2009 by Qatar Foundation under the benefaction of its Chairperson Her Highness Sheikha Moza Bint Nasser to debate and plan for decisive actions in building the future of education. It also aims of delivering quality education to millions of children across the world. Pakistan Alliance for Girls’ Education (PAGE) will perform as platform for policy makers, experts and practioners to line up their synergies in bridging the gender gap in literacy and to effectively address broader challenges that education sector faces in Pakistan. The PAGE will also help connect financial and human resources to the programs that promote education reforms formulate innovative approaches and raise public awareness for girls’ education. “Pakistan currently faces three fundamental issues in education sector i.e. access, quality, and equity. Due to access issues, 38 million children were out of school in 2011,” stated UNESCO Confucius Laurate, Dr. Allah Bakhsh Malik. With its Secretariat in Islamabad, Pakistan Alliance for Girls Education will convene its inaugural consultative meeting in January 2014. 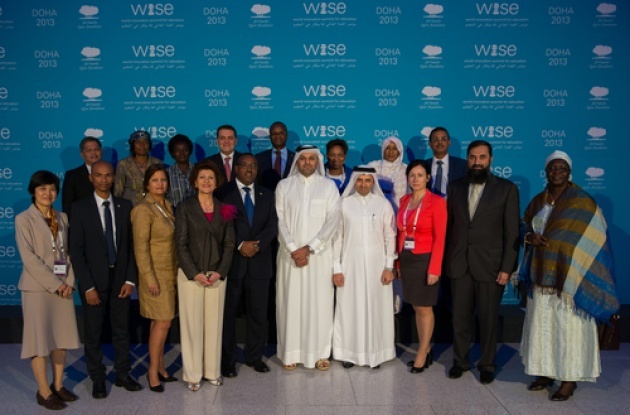 The Doha WISE Summit was attended by number of prominent public and social sector leaders from Pakistan that include the Minister of state for Education, Baligh-ur-Rehman, Minister of Education, Khyber Pakhtunkhwa, Muhammad Atif Khan, Executive Director Higher Education (HEC) Prof. Mukhtar Ahmed. The founder of City Foundation, Mushtaq Chhapra, CEO AMAN Foundation, Ahsan Jamil, NGO World Chief Executive, Zafar Iqbal senior officials of Education Departments and social sector leaders of the country were also among the participants of the summit. Dr. Tariq Cheema, a distinguished social innovator and philanthropist from Pakistan has been appointed as Interim Coordinator of the Pakistan Alliance for Girls’ Education (PAGE).